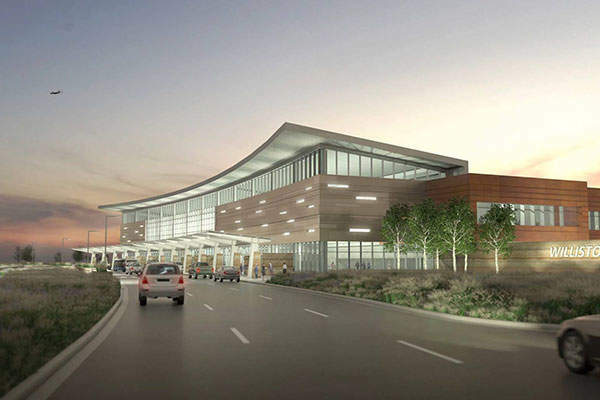 Williston Basin International Airport (WBIA) will feature a single passenger terminal. Image courtesy of Williston Economic Development. The new airport will replace Sloulin Field International Airport. Image courtesy of Williston Economic Development. Williston Airport will be located in the centre of the Williston city. Image courtesy of Williston Economic Development. 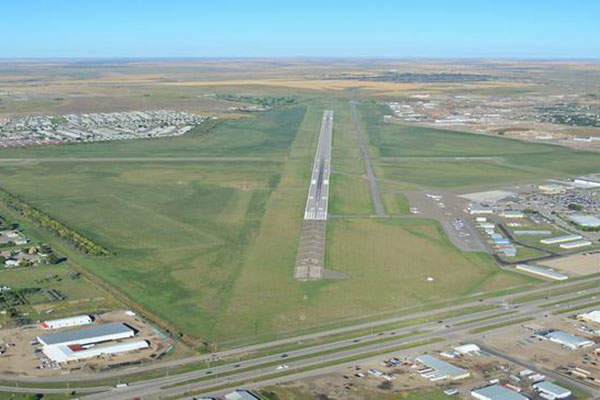 Williston Basin International Airport (WBIA) is a proposed airport in Williston, North Dakota, US. 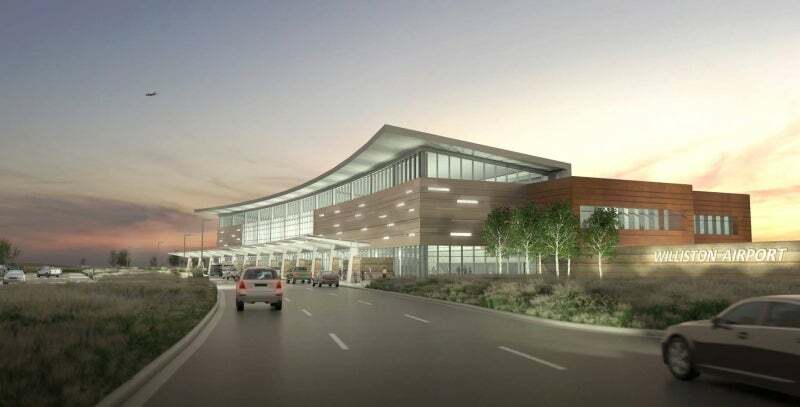 It will replace the existing Sloulin Field International Airport, which has been operational since 1947. 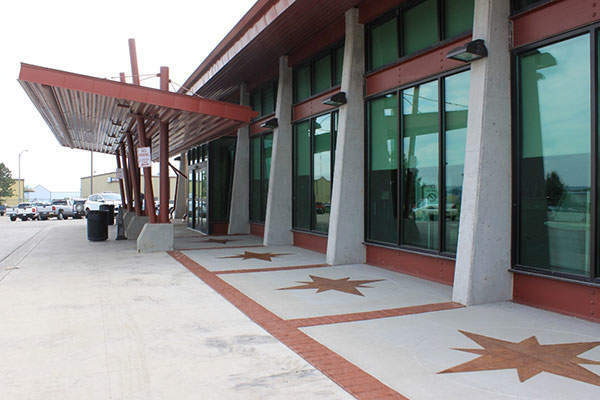 The City of Williston, the owner and operator of the existing and suggested airports, has made a proposal to decommission the existing airport and construct a new airport, for addressing the growing air transport needs in the region. William P Hobby Airport (HOU), the oldest commercial airport in Houston, is constructing its first international terminal. In September 2015, the US Federal Aviation Administration (FAA) approved the environmental assessment for the proposed airport by issuing a finding of no significant impact (FONSI) / record of decision (ROD), allowing the City to move forward with its plans to build a new airport. The approval allows the City of Williston to move forward with the design process, land acquisition and preparation of bidding for the airport. The ground-breaking ceremony for the new airport was held in October 2016. Construction began in April 2017 and commissioning is expected in late-2019. The $254m airport will feature aviation facilities that meet the FAA standards and accommodate the current and projected levels of regional aviation activity. Sloulin Field International Airport has been serving the Williston area for more than five decades. The aviation requirements have dramatically increased in the past decade, due to oil exploration activities in the Williston Basin. The number of enplanements at the airport grew from 7,800 in 2007 to 120,900 in 2014. The runway, which is designed to accommodate 30 turboprop aircraft, currently handles 50 passenger regional jets, taking a tremendous amount of stress resulting in its degradation. Further, the airport is limited to aircraft no bigger than 50-seat regional jets, limiting the community’s growth. A site-selection study was conducted in 2012 to determine the potential sites suitable for the new airport. The new airport will be located approximately five miles north-west of Sloulin Field and 2.5 miles from US Highway 2. The proposal includes facilities and design considerations required to provide aviation facilities to accommodate current and future aviation activity at the airport. The airport will feature a 108,000ft² passenger terminal building with 1,500 stall parking lots, a cargo apron of 8,000yd² with possible future expansion to 39,000yd². "The $254m airport will feature aviation facilities that meet the FAA standards and accommodate the current and projected levels of regional aviation activity." Airside facilities at the airport will include construction of a 7,500ft x 150ft runway with lighting and markings, a 7,500ft-long and 50ft-wide parallel taxiway, a 4,500ft-long and 75ft-wide crosswind runway, and a crosswind parallel taxiway. General aviation facilities will include an apron of approximately 459,000ft², 60,500ft² of hangar space, including 26 T-hangars, corporate hangars spread across an area of 31,700ft², and terminal apron development spaces of 333,000ft² with associated taxiways. Including airport perimeter roads and access roads, the road infrastructure will be constructed to offer connectivity with major highways. The total estimated investment for the project is $254m, of which $27m has been approved by the FAA under an airport improvement programme (AIP) grant. Besides, the City of Williston submitted a letter of intent (LoI) funding application to the FAA for a $120m discretionary grant and a $25m entitlement grant. The state of North Dakota is anticipated to fund approximately $58m through energy impact grants. The City of Williston will fund the remaining amount through the sale of existing airport property and other revenue generated from fees and charges collected at the airport. Phoenix-based firm Cardon Development Group (CDG), in partnership with Vedadi Corp and Red Bison, provided the masterplan for the Sloulin redevelopment project. The consortium will rehabilitate and redevelop the Sloulin Field International Airport site once its operations are moved to the proposed new location. North Dakota-based environmental services provider KLJ prepared the environmental assessment of the project on behalf of the City of Williston.